A team of researchers with the Center for Prototype Climate Modeling, New York University Abu Dhabi, and the University of California has created a computer simulation to predict changes in weather for India in the coming years as the planet warms due to global warming. In their paper published in the Proceedings of the National Academy of Sciences, the group describes the data and factors they applied to their models and outlines what the simulations revealed. As the planet continues to warm, and the likelihood of humans finding a way to discontinue pumping greenhouse gases into the atmosphere remains remote, scientists around the world study its implications from multiple perspectives. In this new effort, the researchers focused on India, a country with a huge population dependent on food produced during its monsoon season. To understand the weather impact India will likely experience, the researchers focused specifically on cyclonic atmospheric vortices, which are better known in western countries as low-pressure systems (LPSs)—they are important to India because they are responsible for bringing more than half of the rains, which give the monsoon season its name, to the Gangetic plains. 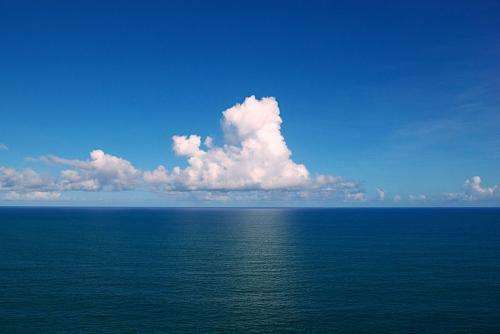 To make predictions about such events in the future, the team looked at data from other research efforts that have predicted sea surface temperatures for the years 2071 to 2095. Sea surface temperatures have a dramatic impact on LPS activity, which in turn has a dramatic impact on where rain falls. The team used a high-resolution atmospheric general circulation model that realistically simulates the genesis distribution of LPS. In their simulation, the researchers report, they saw shifts in low-pressure systems. More specifically, the simulation showed 60 percent fewer such events over the Baby of Bengal and 10 percent more events in certain land areas. The net result, they report, is likely a drier mid-section and an increase in rain in northern areas. Such changes, they note, would have very serious implications for the weather cycle in South Asia, and for India in particular. The Koch Brothers like it that way. The title alone is technically frightening "Decline and poleward shift in Indian summer monsoon synoptic activity in a warming climate". How something so complex can be quantified, projected so far, and merit mention here is really something. God it's amazing how stupid journalists are.